We all need to take care of our bodies; because we need to live within. And since the skin is the most unprotected organ, it calls for excessive gentle care and pampering. Skin cleansing and exfoliation is equally significant for men and women. And what way could be better than Moroccan Bath to cleanse and exfoliate your skin thoroughly. It is obvious that we all like to pamper ourselves with all the best things in the world and when it comes to coddle your skins with Moroccan bath, Dubai has the best to offer. We all know that the texture of men’s skin is firmer than women naturally and thus it necessitates excessive efforts to look better. Henceforth, Moroccan bath in Dubai for men is the best way to unclog pores and release all the dirt out of the body while enjoying the relaxing steam bath in aromatic ambiance. Dubai equally coddles men with numerous choices of spas, massage centers, salons and beauty clubs. 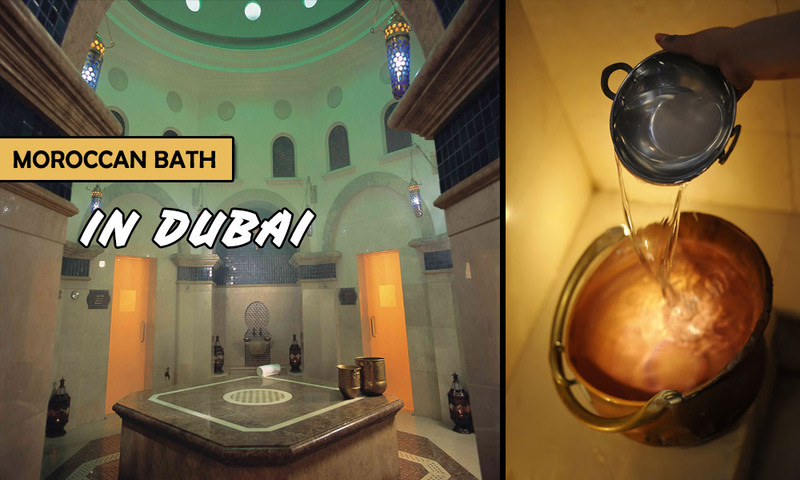 So whenever you want to take a relaxing break from your hectic Dubai routine, or just want to enjoy the luxury of the amenities in your vacations, then try out an exclusive Moroccan Bath in Dubai to rejuvenate your body, mind and spirit. Dubai always aims to please you with plenty of choices, no matter if its food, entertainment, health or beauty. Likewise, the place has numerous small and large salons, massage centers and spas that offer premium services for men. There is an extensive variety of Moroccan bath in Dubai that is offered by local salons as well as by exclusive spa center in five star hotels of Dubai, however the service quality varies with prices and facilities they offer. So being little particular, embark on the one that suits you the best. Here revealed are the best five Moroccan Bath Centers in Dubai for men, that offers you the best variety of massage, exfoliation, scrubbing and spa. Oriental Hammam is an ideal place to enjoy a Moroccan bath in Dubai for men. Located in one of the finest resorts in Dubai, this place is super exotic. The attendants at Oriental Hammam gives you an exclusive treatment with authentic Moroccan black soap that is made up of cocoa butter and vitamin E and it magically exfoliates your body to remove the dead skin. The place is seamless to enjoy a 110 minute Moroccan bath accompanied with oil massage and a hot steamy bath to revitalize completely. The ambiance is so lacy and decorated with enchanting gloominess of candles and the aroma of lavenders and chamomile. Oriental Hammam is located at the most stylish and glitzy beach resort in Dubai, the One & Only Mirage Resorts- AL Sufouh Road, Dubai Marina. Cool Aroma is an exclusive men’s spa center in Dubai, that offers traditional Moroccan Bath and allows your skin to undergo a natural process of renewal and shedding, helping you to slow down the aging process and detoxifying skin. Cool Aroma offers numerous types of Moroccan baths in Dubai, that are modified with contemporary creation to add greater value. Here you may also enjoy a complimentary optional manicure, pedicure and facial at AED 300 for 60 minutes. Cool Aroma is the Shop No 14 located on the ground floor of Al Nasr Plaza, 10th Street – Oud Metha. Silvio Salon offers you a perfect traditional Moroccan bath in Dubai for men. It is one of the best salons in Dubai for men, where you can get off your all day tiring effect by relaxing through their deep exfoliating massage and steam bath. Their aromatic head rinse is just amazing. They charge you around AED 250 for one hour bath which include 30 minutes of scrubbing, hot oil body massage and body mask. All you need to do is to sit in their comforting steam rooms to soothe your nerves with a relaxing massage and scrubbing and the rest you leave to the magic of Moroccan soap. Silvio Salon is the villa number 168 located on Jumeirah 1- 2nd December Street, opposite Al Ghazal Mall –Dubai. Aroma Spa is an exquisite spa where you get an inclusive mollycoddled treatment for your body, mind and soul. The Moroccan bath for men at Aroma Spa Dubai is exclusively designed in step by step process that involves the blend of traditional Moroccan Hammam and modern techniques of exfoliation that gently cleanse, invigorate, detoxify and rejuvenate your skin to enhance the blood circulation while relieving the muscles’ contraction. They offer various packages, however the royal treatment lasts for about 110 minutes and costs you around AED 650. There are shorter versions of 60 and 80 minutes also available. Aroma Spa is located at Dubai Marine Beach Resort & Spa, Jumeirah Road, Jumeirah 1- Dubai. Me & Only Man Spa also has an alluring arrangement for Moroccan bath Dudba for men within their saloon. You may also get complimentary manicure, facial and pedicure with the bath. Their 50 minute bath includes body massage and scrubbing. Me & Only Man Spa has highly professional attendant that provides gentle care as per the needs of your body. It charges you AED 200 for a 50 minute bath. The spa is located at Al Muneera, Al Raha Beach- Abu Dhabi. These are some of the best places to try a Moroccan bath in Dubai for men. These exclusive places are popular and famous for providing quality service. To recommend a Moroccon bath center in Dubai, please add comments below.